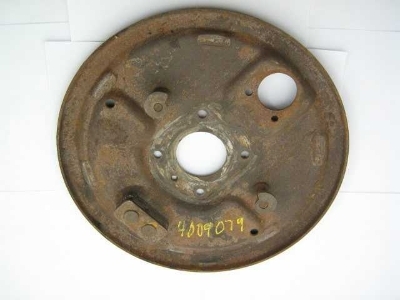 REAR BRAKE DRUM BACKING PLATE. THIS BACKING PLATE IS FOR THE CARS THAT HAD THE PARKING BRAKE ON THE TRANSMISSION. AFTER USE 4052849 & 4052850.